Too often do we hear things like, “People spend way too much time on social media,” or, “things were so much easier before everyone posted everything online.” While these complaints can be true, they fail to acknowledge the remarkable effect that social media can have, when used for the right purposes. When a horrible tragedy happens, it can be unimaginable. You read about tragedies in the news but never anticipate anything happening near or around you, thus reacting in the state of a tragedy is something unconceivable for most people who’ve never had to before. No one knows exactly what to do. Fear and worry can take over. The terrorist attacks in Paris this month left many people feeling this way. After the attacks, people in the streets were worried and encouraged to go inside as soon as possible. Seeking shelter and safety, Parisians turned to social media to lead them out of harm’s way. 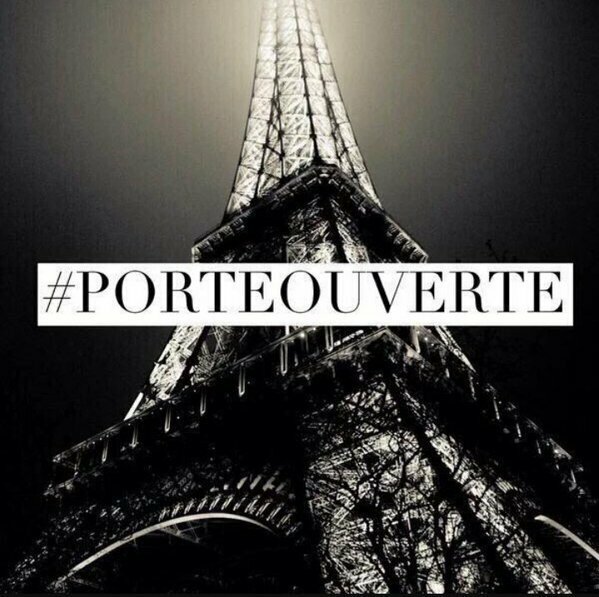 #PorteOuverte – meaning open door – was a pathway to safety. According to The Washington Post, anyone in need of a place to stay could search #PorteOuverte on Twitter or Facebook and find a series of tweets by people offering their homes to anyone in surrounding areas who needed a place to go. According to The New York Times, there were one million tweets with this hashtag in ten hours and another popular hastag, #prayforparis, was included in 6.7 million tweets in the same time period. #StrandedInUS was featured in many tweets so people could let their followers know they were in America because their flights were canceled. #RechercheParis was used to find information about the safety of loved ones and in the news when someone was found alive. Twitter played another key role in rallying and showing the support of the world when it highlighted top tweets about the attacks, including tweets wishing all affected by the attacks the best, some from celebrities. Social media continued to be a beacon of hope for Parisians thanks to Facebook’s Safety Check tool. According to The New York Times, using this tool, people can mark themselves as safe. The quick nature of Facebook allowed its users to notify all of their loved ones and the world that they were safe with the click of a button. When most of us think about social media, we think about uploading photos of friends and family, posting about exciting news or events. What we don’t realize is how powerful it can be in rallying the support of the world and assuring the safety of numerous people. In times of unthinkable tragedy, people need something to rely on, to help them through. The power of social media was put to extraordinary use in Paris to be this source of safety, assurance, comfort, and hope for people in Paris.